They suggest that understanding the connection better between mushrooms and gut microbes in mice could one day pave the way for new diabetes treatments and prevention strategies for people. In the study, the researchers showed that feeding white button mushrooms to mice changed the composition of gut microbes — microbiota — to produce more short chain fatty acids, specifically, propionate from succinate. 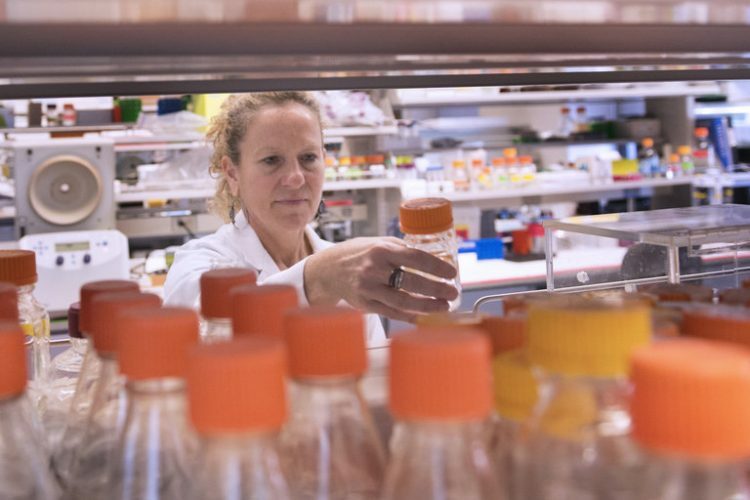 Previous research has shown that succinate and propionate can change the expression of genes needed to manage glucose production, according to Margherita T. Cantorna, professor of molecular immunology at Penn State’s college of agricultural sciences. Margherita Cantorna. Image: Patrick Mansell, Penn State. Diabetes and pre-diabetes contribute to severe life-threatening diseases including heart disease and stroke. According to the Centers for Disease Control, 100 million Americans had diabetes or pre-diabetes in 2017. The researchers used two types of mice in the study: One group of mice had microbiota, the other group did not have microbiota and were germ-free mice. Mice with the microbiota could be compared with the germ-free mice. “There were big differences in the kinds of metabolites we found in the gastrointestinal tract, as well as in the liver and serum, of the animals fed mushrooms that had microbiota than the ones that didn’t,” Cantorna indicates. It turns out, consuming the mushrooms can set off a chain reaction among the gut bacteria, expanding the population of Prevotella, a bacteria that produces propionate and succinate. These acids, according to Cantorna can change the expression of genes that are key to the pathway between the brain and the gut that helps manage the production of glucose. According to the researchers, the mushrooms, in this case, serve as a prebiotic, which is a substance that feeds beneficial bacteria that are already existing in the gut. Probiotics are beneficial bacteria that are introduced into the digestive system. Beyond the possible beneficial benefits of mushrooms as a prebiotic, Cantorna indicates this study also shows more evidence that there is a tight connection between diet and microbiota. “It’s pretty clear that almost any change you make to the diet, changes the microbiota,” says Cantorna. While the study was done in lean mice, eventually, researchers would like to see how this works in obese mice and humans. The Mushroom Council, American Association of Immunologists and the National Institutes of Health supported this research.